Al and me sailing "Vicki"
A broken-down football player from the University of Missouri, Al started sailing in the early sixties, finding it was the only thing that gave him the same rush. On one of their very first dates, Al took Vicki sailing. It was so relaxing and peaceful, that Vicki had one of the best naps of her life, and was totally sold. 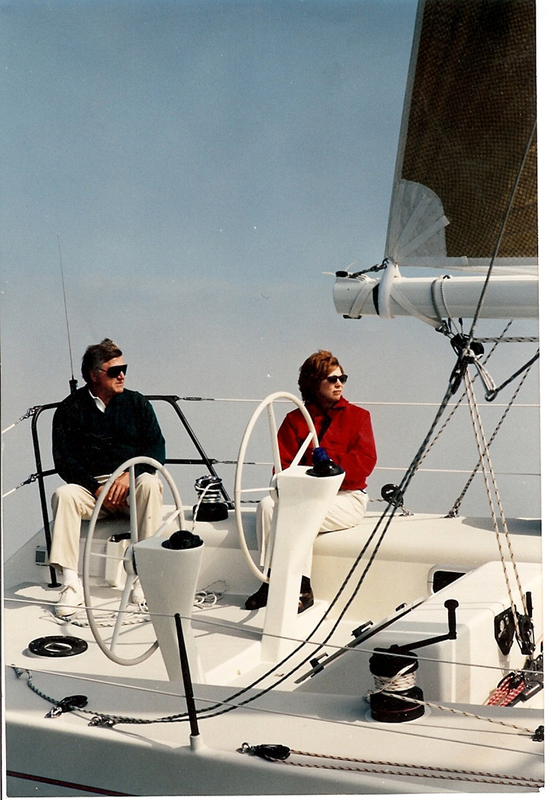 In the mid-seventies the Schultzes abruptly left their desert vacation, deciding they both loved the water better, went directly to a boat show, and purchased their first racing sloop; a Ranger 27; they named Comedienne. 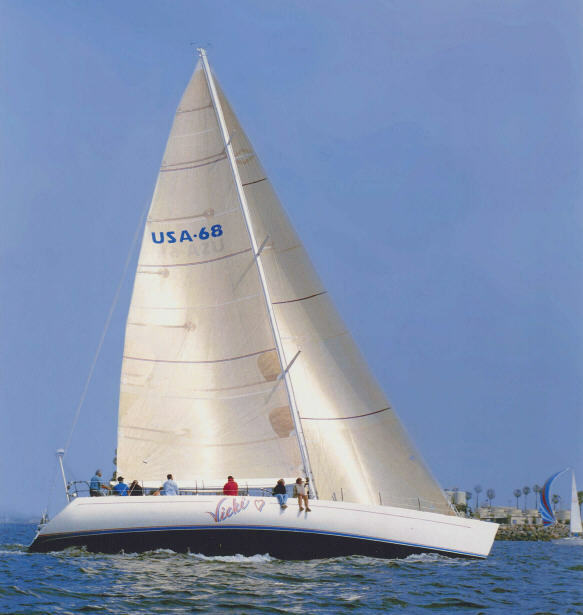 In 1980, they built a Peterson 42 named it OZ, and in 1981, Al did his first Transpac, a biannual race from Los Angeles to Honolulu. They took a Third Place trophy. Their next yacht was Camouflage, a Frers 45. Two weeks after being launched in 1983, Camouflage won the San Francisco Big Boat Series. 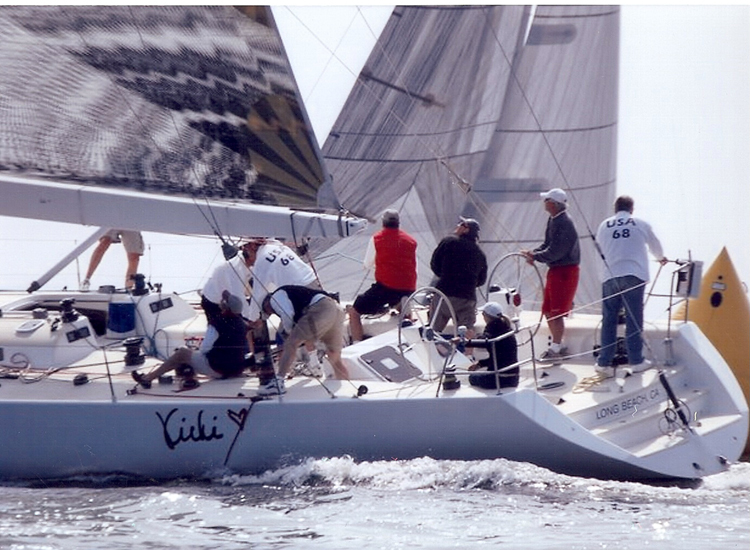 In 1984 Camouflage won the Pan Am Clipper Cup in Hawaii, and in San Diego the prestigious Lipton Cup in 1990. In 1995, they launched an Andrews 70, which Al insisted on naming her Vicki. Her sail number is 68, the year the Schultzes met. On a recent race from Santa Barbara to King Harbor, Al and his crew saved 3 men from an overturned catamaran. In recognition, they were subsequently awarded the Arthur B. Hanson Rescue Medal from US Sailing. Vicki, who is a self-confessed day sailor; loves all the local racing they do; and cruising to Catalina Island, "26 Miles Across the Sea!" 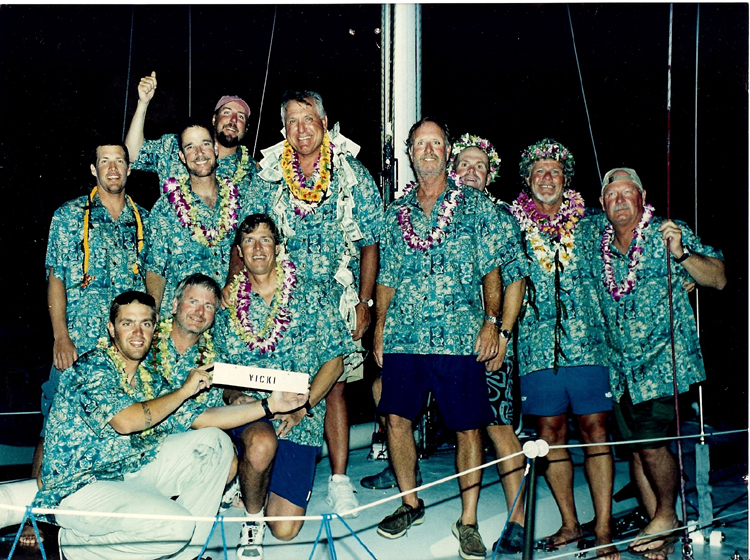 Al and his Transpac Crew after sailing the 2225 nautical miles from LA to Hawaii aboard "Vicki"
Vicki is Represented by The Brokaw Company in Los Angeles California.